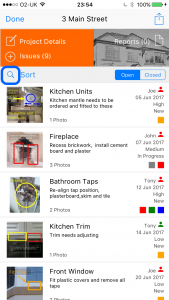 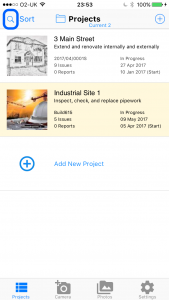 To help you find your projects and issues, Site Report Pro allows you to search and filter. 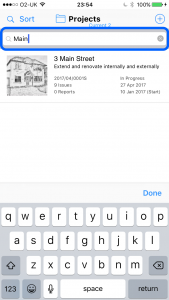 Enter the search text – the project list will be updated as you type. 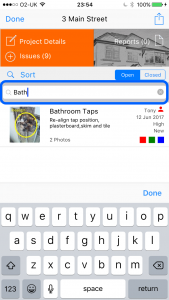 Enter the search text – the issue list will be updated as you type. 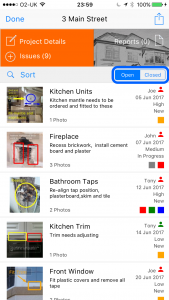 You can quickly filter the issue view to show either the open or closed issues by clicking the Open or Closed buttons.